Complex says: When you order the million-dollar supercar, Bugatti can paint it whatever color you want. Unfortunately, none of those colors were good enough for BAPE's founder, Nigo. 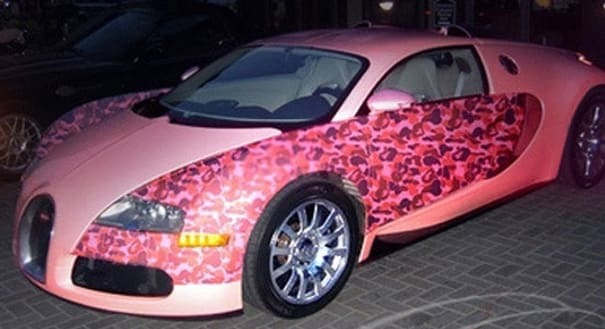 He went and painted it bright pink and draped it in his company's signature camo print. Classy? No, not at all.